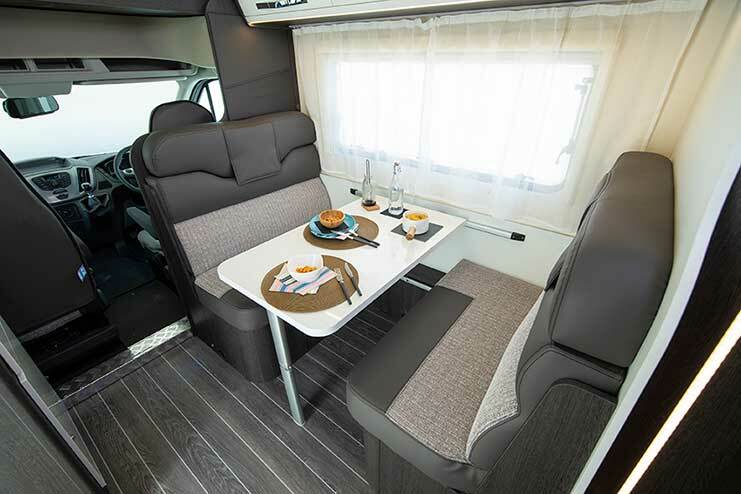 Brand new to the fleet in 2019 the Roller Team Zefiro 690 is perfect for couples, a group of friends or families that want that extra bit of living space. 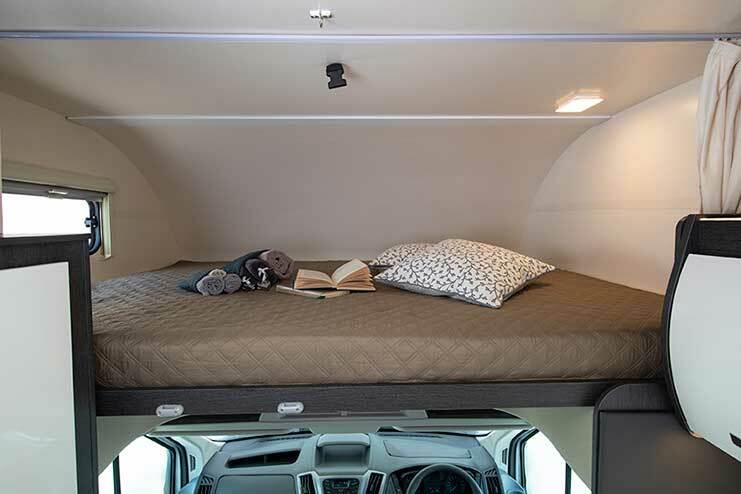 it has a spacious fixed double bed at the rear, with a huge garage store beneath, which can swallow up all manner of hobby equipment, scooters, cycles or toys. Having a door each side of the rear garage is very convenient. 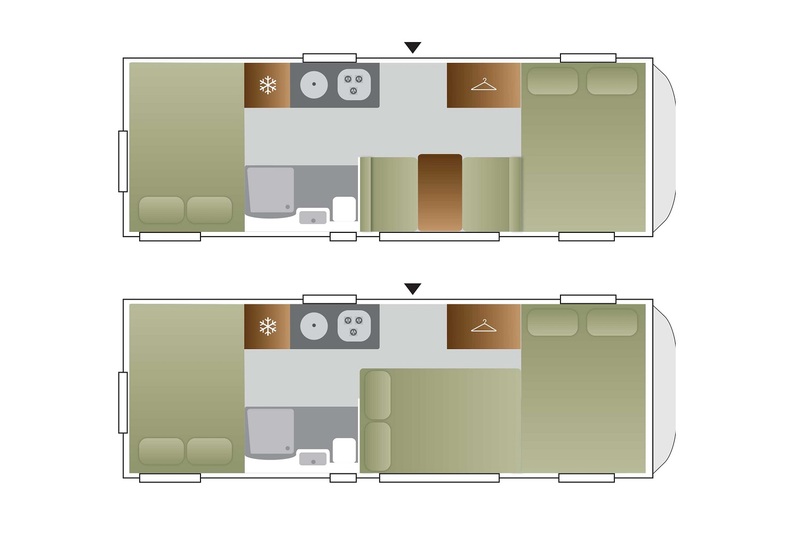 The over cab bed is larger than the average double bed and there is a front dinette which can be converted to the third double bed. 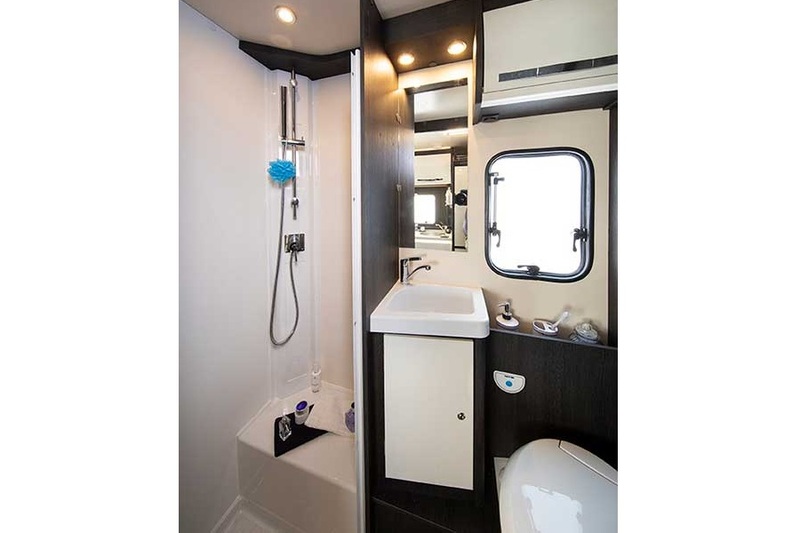 The washroom has a sizable shower cubicle plus toilet and hand basin. 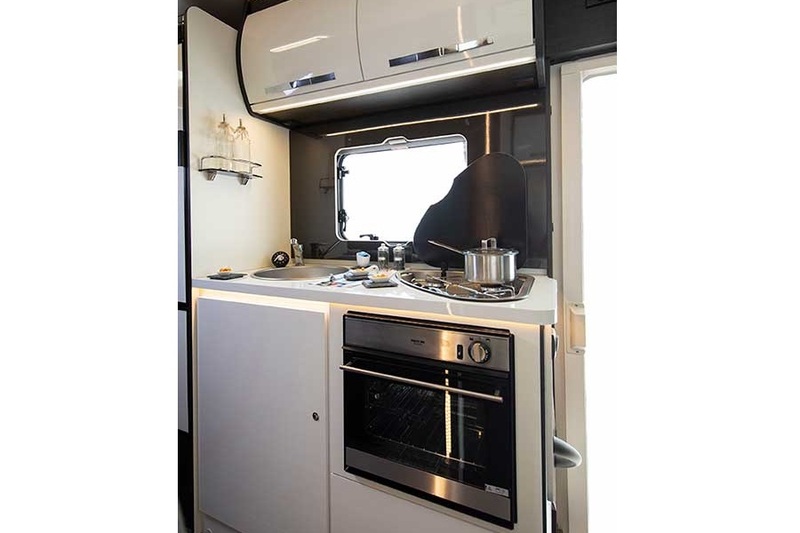 The kitchen encompasses a sink and worktop area with a 3 burner hob, gas oven and grill. 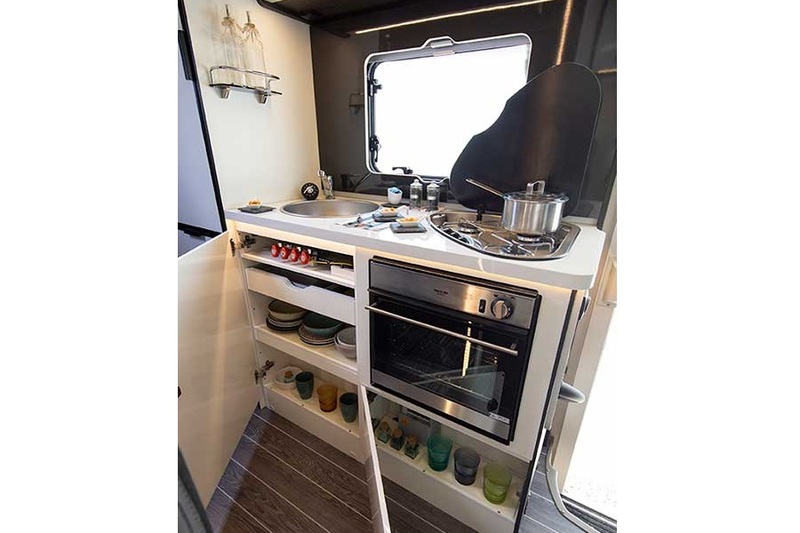 The tall fridge/freezer makes sure there is enough room for food and drink for everyone. 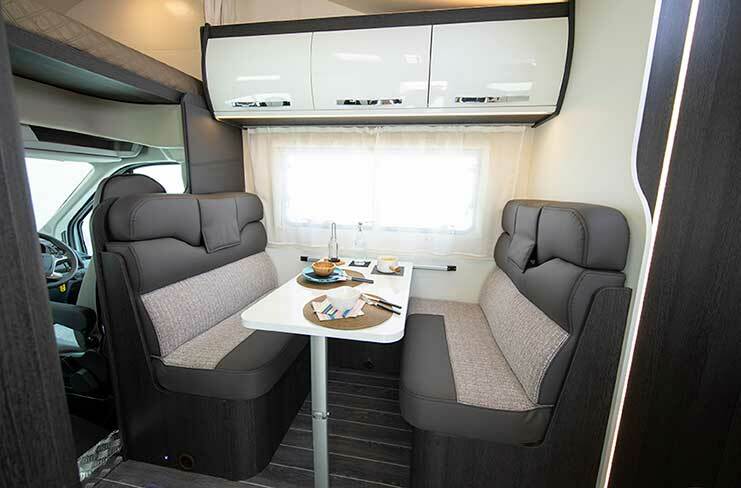 All this space and the Zefiro 690 still comes in at under 7metres in length. 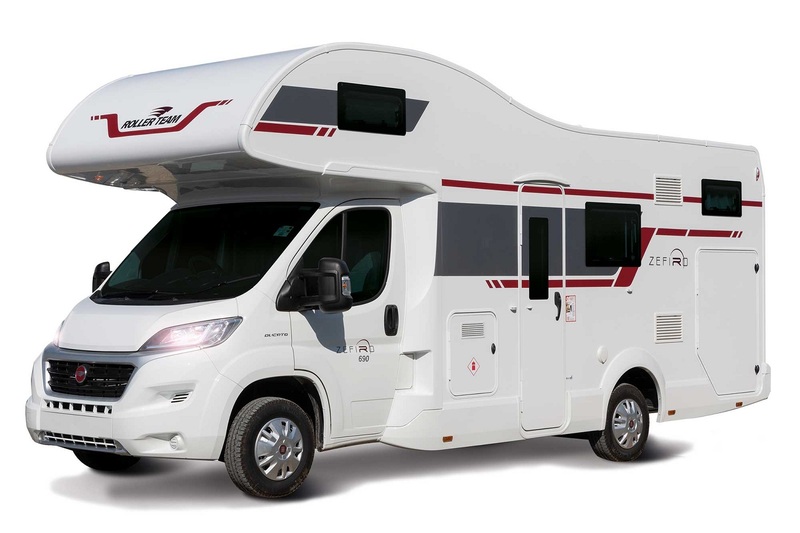 Plus, as this motorhome is under 3500kg a standard B1 driving licence is required, so there are no restriction for anyone wanting to hire this motorhome. Images used are from the manufacturer. 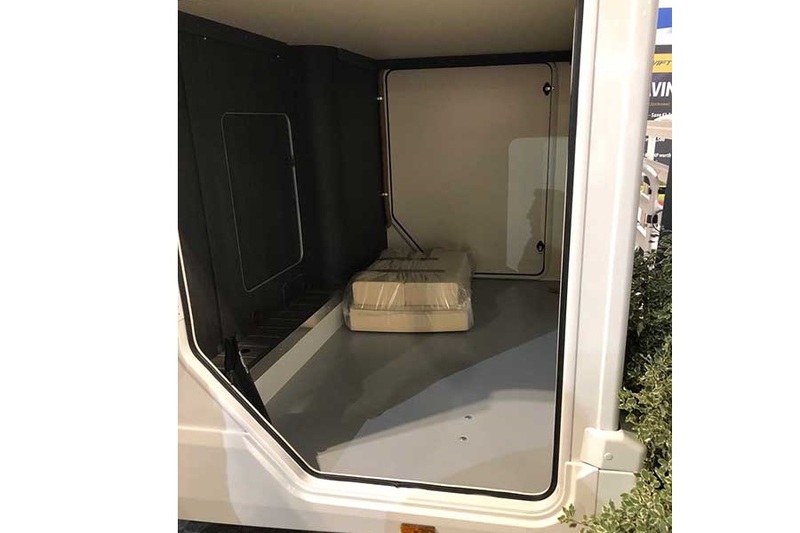 This vehicle is available to hire from July 2019. London Gatwick is a serviced non depot location. Please note this is a non-depot location, £150 pick up London Gatwick Airport and £150 drop off London Gatwick Airport fee applies.